I love yogurt. Most mornings I’ll have a cup of yogurt with fresh fruit and granola. Unfortunately, I’ve become a bit of a yogurt snob and, when you’re staying in a town that only has about 130 people, you don’t get a lot of choices at the local “mom and pop” stores. Essentially, you heat up your milk to 180° then let it cool to 110°, add your yogurt starter (which can be any plain yogurt as long as it has live cultures or a package of yogurt starter. ), place your yogurt into jars (I used 2 2-quart airtight glass jars) and place in a cooler with hot water (about 120°) and let it sit for 8 – 24 hours. The longer it sits, the more tangy it’ll become. I let mine sit overnight and today I’m making it into “Greek Yogurt”. 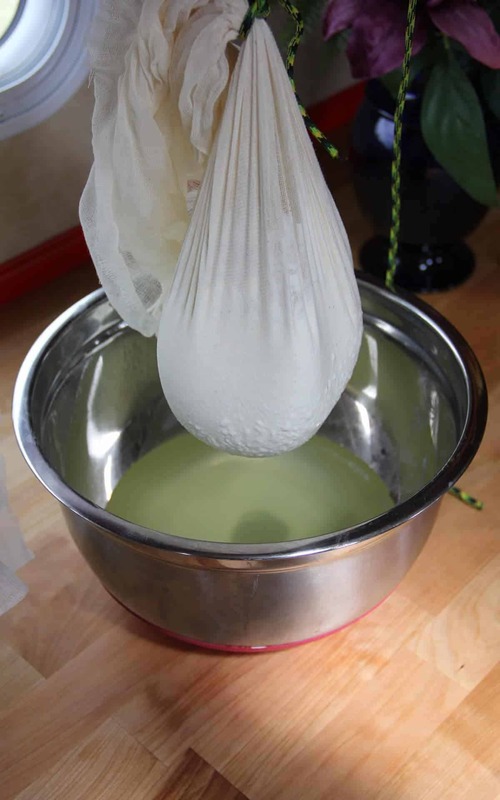 You just place the yogurt into a colander lined with cheesecloth or, as my mom used to due when making certain types of jelly, hang it in cheesecloth over a bowl. The liquid at the bottom of the bowl is whey. You can use it for a variety of things including smoothies and juices or add it to soup, but I doubt I’ll use it. lol.. Guess I’m not that frugal after all. I never knew! 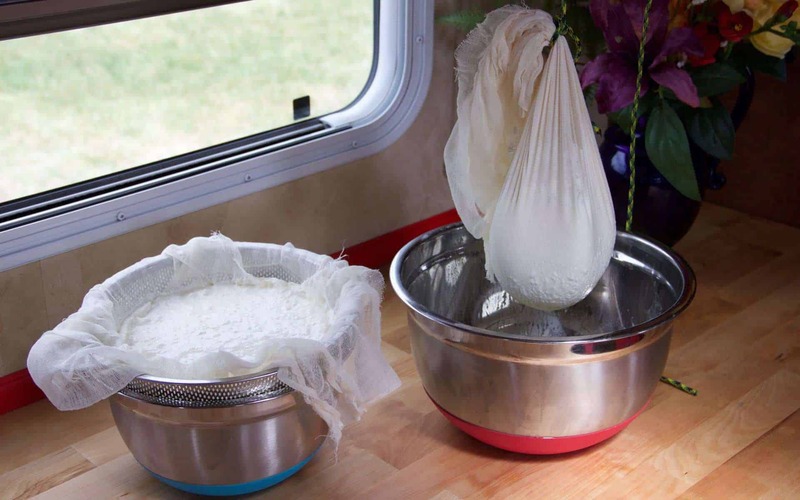 Curds & Whey! I wonder if whey can be frzen into ice pops?